HomeWhere did my wordpress blog go? And how can I fix it? Where did my wordpress blog go? And how can I fix it? This blog site was not coming up this morning – and it took me a while to figure out why not but here it is. The blog is technically xomino.wordpress.com and that is redirected to xomino.com automagically by wordpress. I set this up originally through GoDaddy by pointing my zone file at the xomino.wordpress.com site. 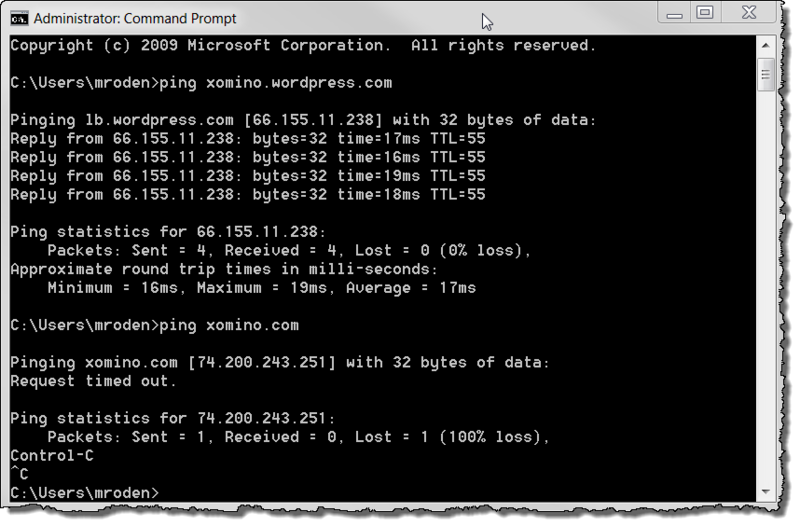 Well guess what happened over the weekend – the IP address of the wordpress server changed!! A quick change to the GoDaddy Zone file et voila I have a blog again – woo hoo!! So if your wordpress site has gone down this weekend – you need to go through your registrar and change the IP address of the domain back to the new IP address.